Home / local / Let the righteous take over the state. Let the righteous take over the state. Rev Amb Rapheal Chukwuma Egeonu, declares for the Re-build Nigeria Party to contest for the governorship of imo state come 2019.This took place at the party's national secreteriat in abuja 21st may 2018. Rev. Amb. 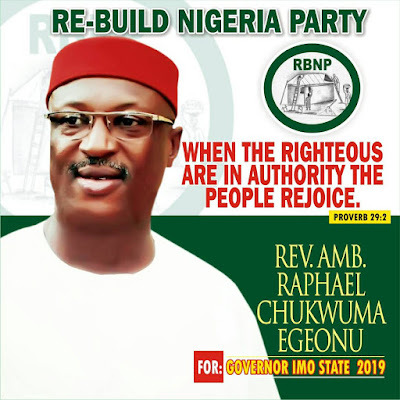 Raphael Chukwuma Egeonu of RBNB party. Among the contenders for Imo State governorship seat is Rev. Amb. Raphael Chukwuma Egeonu, from Ikeduru L.G.A of Imo State. A man of intergrity and noble character, graduate of Office Management , Obafemi Awolowo University. He is a devout christian and a renowned preacher of the gospel. It's high time Imo State chose a man under God's anointing, who is dedicated and has the fear of God in him to steer the wheels of prosperity in Imo State. 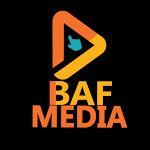 Rapheal Chukwuemeka Egeonu is the man! !